John 15:14 "Ye are my friends, if ye do whatsoever I command you." When the greatest enemies come around, the male lion is there to protect the pride. Protection of territory and the pride involves continuous fighting from life to death. Jesus Christ is the Lion of Judah. He is the King; He protects His bride. Just like the male lion lays down his life for the pride, Jesus, the perfect sacrifice, layed down His life for you. "GOD with us", in the flesh, was Jesus Christ, born of a virgin woman. The Savior was a perfect man. It was a perfect man that laid down his life for your sins. Jesus is the Lion of Judah, the Root of David, who never loses. Revelation 5:4 "And I wept much, because no man was found worthy to open and to read the book, neither to look thereon." Revelation 5:5 "And one of the elders saith unto me, Weep not: behold, the Lion of the tribe of Juda, the Root of David, hath prevailed to open the book, and to loose the seven seals thereof." Christ is the KING of Kings, LORD of lords, and the Key Master, who holds the Key of David. 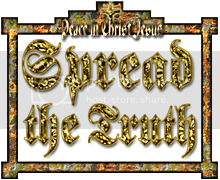 The master key openeth all doors to truth, because Jesus is the truth. He withstood and rebuked satan's temptation in the wilderness. Jesus lived a perfect life in every way. He conquered death and came out of the tomb. Jesus Christ is the only one that can open your mind to the Scriptures. Psalm 22:16 "For dogs have compassed me: The congregation of the breakers up have inclosed me: As a lion they break up my hands and my feet." Psalm 22:21 "Save me from the lion's mouth: Yea Thou hast answered me [and delivered me] from the horns of the bulls." 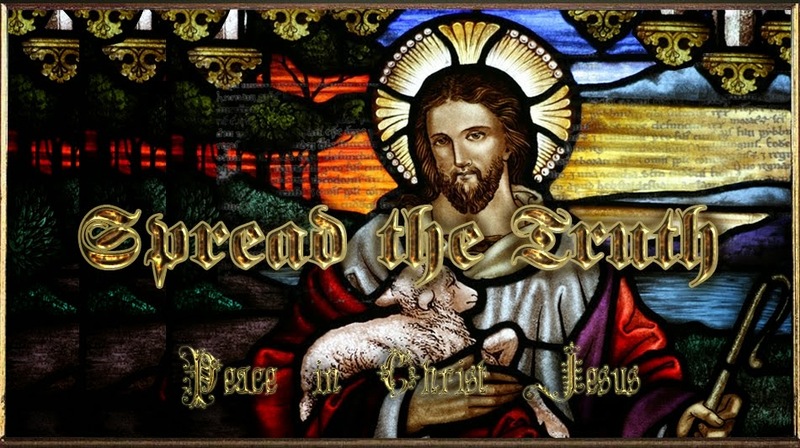 Psalm 22 was written one thousand years before the crucifixion of our Lord Jesus Christ. It is the Psalm of crucifixion. Jesus taught this entire chapter as He hung on the cross before His death, burial and resurrection. Are you now beginning to understand how important the Scriptures should be to you? Christ is the Lion of GOD, or Ariel (also a symbolic name for Jerusalem), and He defeated death. The enemy lions and satan lost. Through death, Christ destroyed him that had the power of death, that is, satan. Jesus had to go to the cross to redeem us from death. At Jesus' death and resurrection, the entire world, meaning all peoples, had the opportunity to repent, to be forgiven of their sins, and to receive salvation for their souls. Jesus laid down His life for all those who believe, and repent, so His blood opened salvation to all. When trouble comes your way, your wife might run the other direction, and you'd accept that. But it doesn't go the other way around. A husband is always ready to lay down his life for his wife, and the husband and wife for the children. There is a natural order of things as set by ALMIGHTY GOD. Never try to change that. Everything makes sense when you follow Christ's way. Turn things upside down, and you have the law of reversal, which is satan's doctrine. Get it? Wars throughout history have been fought by men. In the U.S., women have always been exempt from the draft. Up until now, you've never heard of feminists wanting to be drafted into war. You also don't hear them ask for the exact same physical tests and standards, as men, to qualify for positions in law enforcement or the military. Feminists don't complain about the disproportionate number of men, over women, that hold dangerous jobs in construction; fisheries; heavy equipment operation; electrical power installation; steelworks; garbage disposal; and logging. Why? Because women are generally risk-averse. Of course, there will always be some exceptions and that can be a positive thing. War is high risk and so is business. There aren't as many female CEOs and bosses, only because women generally don't like high risk work. Most women still want men to open doors for them. They also prefer male bosses over female ones. Just ask around, of course, don't do it at your workplace. Try asking your friends and family. Most women prefer to watch all-male sports and nobody wants to have an all-female military fighting against an enemy nation, at least not anyone in their right mind. Both men and women have shed blood for the freedoms of this nation, as well as the history of all nations, but it's mostly men. The next time that you find yourself losing respect for your man, over trivial things, look into his eyes and know that he'd lay down his life for you, even on a day when you might not deserve it. So, the male lion remains king and protector of the pride. Ephesians 5:20 "Giving thanks always for all things unto GOD and the FATHER in the name of our Lord Jesus CHRIST;"
Ephesians 5:21 "Submitting yourselves one to another in the fear of GOD." Ephesians 5:22 "Wives, submit yourselves unto your own husbands, as unto the Lord." Ephesians 5:23 "For the husband is the head of the wife, even as CHRIST is the head of the church: and He is the saviour of the body." Ephesians 5:24 "Therefore as the church is subject unto CHRIST, so let the wives be to their own husbands in every thing." Ephesians 5:25 "Husbands, love your wives, even as CHRIST also loved the church, and gave Himself for it;"
Men aren't gods, neither are women. It's not about who's better, because men and women are different, having different roles and responsibilities. We all have different and unique gifts. Remember, Jesus said the greatest among you shall be the least. If you spend your entire life comparing physical traits or roles, measuring all things by carnal measurements and worldly standards, you'll never be living in the Spirit. You can be equally gifted, yet unequaled, possessing different gifts and traits. All of the races, both men and women, created by GOD, are equally gifted, yet they are all unique. Equality doesn't mean everything has to be the same; that would be a clone. GOD created the races, of all colors, both male and female, in His image and the angels. GOD said, "Let us make man in our image, after our likeness" in the Book of Genesis. And He saw everything that He made and said it was very good!